A selection of films shedding light on discarded and out of place individuals in Scandinavian countries is scheduled to screen at ADEF DECA in Mokattam throughout the month of May. The selected productions centre on Scandinavians who “live on the fringes [of society] … discarded by society, [and are] trying to adapt and resist,” as mentioned on the event description on Facebook. 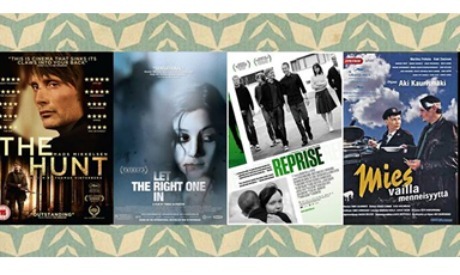 The programme is managed and put together by Egyptian writer Mohamed El-Masry and includes four films: The Man Without a Past (Finland, 2002), Reprise (Norway, 2006), Let the Right One In (Sweden, 2008) and The Hunt (Denmark, 2012). The films will be screened at ADEF DECA, an open space at ADEF’s headquarters that welcomes different performances, screenings and workshops.